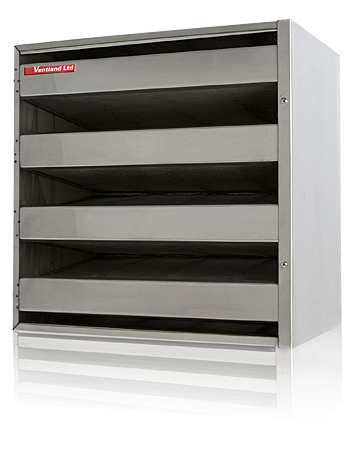 The VLX Activated Carbon Filter range manufactured by Ventland consists of self-contained units which are completely recyclable. The VLX cell comprises individual stainless steel, removable, refillable carbon panels, which are located in a deep ‘V’ formation. The panels are themselves contained in robust stainless steel casings. The filters can be manufactured to any size or weight to suit existing ductwork or air handling units already commercially available. Standard disposable carbon filter cells are also available. The grade of carbon required and the frequency of maintenance will depend on the application – after an initial survey a Ventland engineer can discuss the options available.